We are an experienced, professional and most importantly a reliable manufacturer,of Automation Solutions for Solar Power Plants. We will work closely with you to understand your requirments. Then we will build a solution around hardware and software available from our Principals. We will then discuss it with your technical team, who understand your process and showcase our solution to get their feedback. Based on the inputs received from the process people, we will then submit our final techno commercial proposal. After receipt of order, we submit detail design for discussions and review. 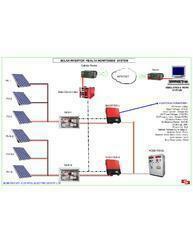 Based on approved drawings, we manufacture the Process Panel at our Noida works. 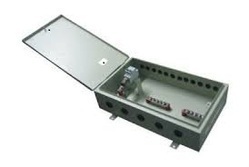 If the cabling and connection is not in our scope, we provide the engineering inputs to the relevant people and coordinate with them for a smooth installation. We supervise commisiong and do the intial trials of production too. We are an Authorisedd System Integrator of GE of USA for their range of PLC, HMI, SCADA and other Industrial Automation Softwares. We are an authorisedd System Integrator of RedLion of USA, for their range of Process Meters, HMI, and other Industrial Automation Hardwares and Softwares. 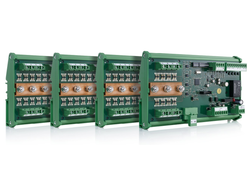 We are an authorisedd System Integrator of DEIF of Denmark for their range of Power Source Synchronising Products and toehr Industrial Automation Hardwares and Softwares. Our products have been working succussfully over decades throughout India, in Perth, Australia, in Zibmabwe, in Ghana, in Mozambique, in Thiland, in Crotia, in Vietnam and many other countries. 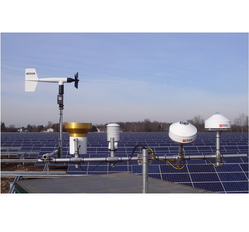 We provide Weather Monitoring Solutions for Solar Power Plant for our clients. 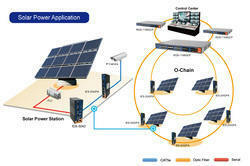 In order to guarantee long-term power performance in mid and large-scale PV installations, it is mandatory to properly monitor the production of the installation over time, at the string level. String level monitoring is guaranteed to maximize energy production, optimize facility management and decrease operations and maintenance costs. Any other parameter from the field to be monitored. 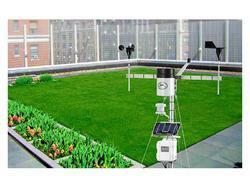 We design & manufacture an effective & efficient Rooftop Monitoring System which enables the client to monitor critical parameters as per his requirement. We provide a comprehensive solution where various parameters required by the SLDC can be monitored by them as required.